Toast and Tables: Special Delivery! foundation, while dusty-miller leaves, blue-gray succulents, and leucadendron buds add contrast and texture. could be turned into a theme. most important hire you'll make. As for me, I found my shutterbug soul mate in Jessica Claire. spend hours trolling her site. amazing yellow bouquet! absolutely love the way it was shot on the coaster bike. jessica is the best! she's going to be the photographer for my vow renewal this year and i'm so excited! Thrilled to have found you!! 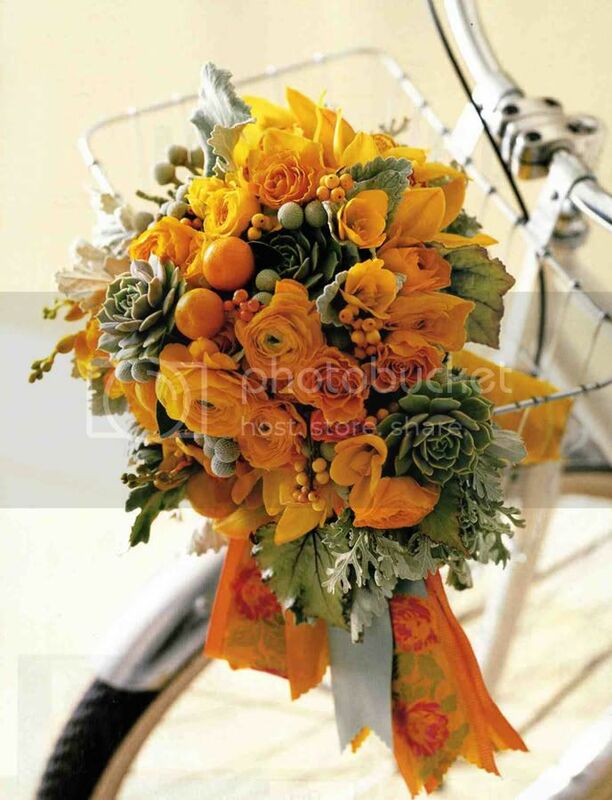 I especially love the orange floral arrangement in this post! Amazing! How have I missed you all year? I love this wedding dress. 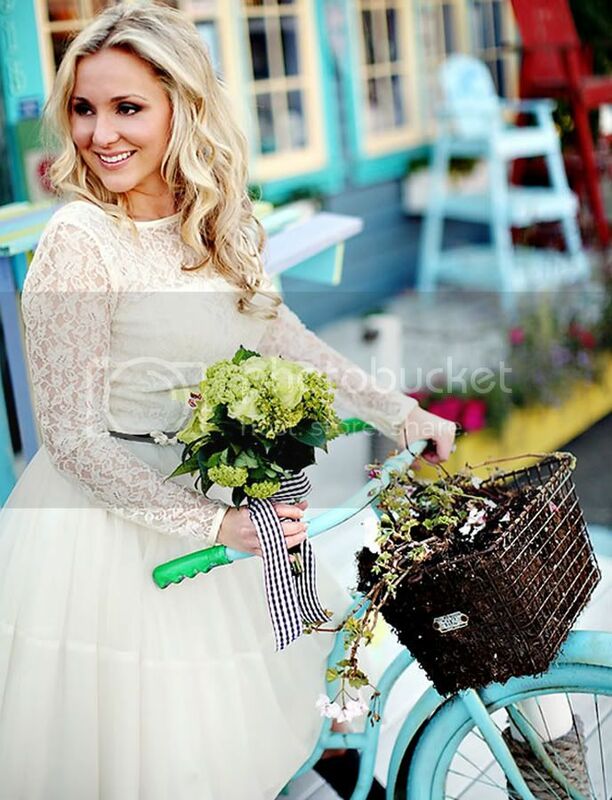 She really makes an amazing bride and her diamond ring is very pretty too.